We are in for a special treat for our next meeting on Tuesday the 27th of August. After a ten year absence (more or less), George Swanson of Swanson Associates in Austin returns to our group to tell us more than we ever knew before about Magnesium Oxide (MgO) panels and products and to answer any question you may have regarding MgO. We in the fringe construction business that's otherwise known as Green Building have heard quite a bit on the properties and advantages of MgO for some time now. With the revelations concerning some of the problems related to gypsum board oriented strand board, plywood, and cementitious exterior panels, MgO has held up some promise of it being a much more appropriate material for interior and exterior use. According to MgO promoters, just one of the more interesting aspects of MgO board is that the material absorbs more carbon dioxide over time (about three months) than the amount of carbon dioxide it required to be produced, therefore acting as an effective carbon "sink". The trouble is that most of the MgO board has to be imported from China. That's right, the same country that supplied that wonderful sulphur and toxic-infused gypsum board on the market that made a huge stink (pun intended) a few years ago. Well, it turns out that the increased production of MgO panels is in no small way a reaction to that Chinese gypsum board debacle. George Swanson is connected in a large way with the MgO production operations in China where he travels to often and spends much of his time there. George will be telling us in detail the good news that he's setting up a highly automated MgO board production operation in Houston which will be providing the American market with domestically produced MgO board in the near future. He will also tell us about the hundreds of trailers here that are the healthy replacement for "FEMA" trailers using MgO board inside and out. That's just a little of the information that you will hear more about at our meeting on Tuesday. Knowing George, he's going to be telling us about much, much more. If you missed his memorable presentation the last time around, you will not want to miss it on Tuesday. You wouldn't want to wait another ten years for our next chance would you? Hope to see you all on Tuesday. 1. In a large pan saute in the vegetable broth garlic, and onion over medium heat till the onion is translucent. Add the tofu and gently toss until coated with the broth. Cook until the tofu has become golden, about 8-10 minutes. 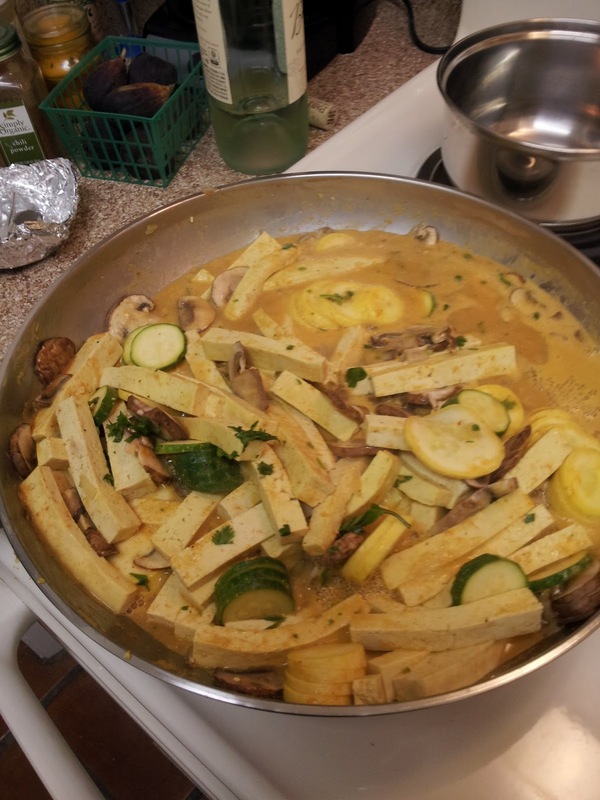 Combine the ginger, curry powder, and cumin; sprinkle over the tofu.